Extreme Force Valve has the VR Stamp, from the National Board of Boiler and Pressure Vessel Inspectors. This involves a rigorous review to ensure our quality system meets or exceeds the standards as set forth by the Board. Our VR stamp signifies that our quality system complies with their requirements, as well as having repairs audited to ensure they meet or exceed ASME code requirements. Extreme has a VR special process for conversions, machining of parts and welding (by “R” stamp holder). 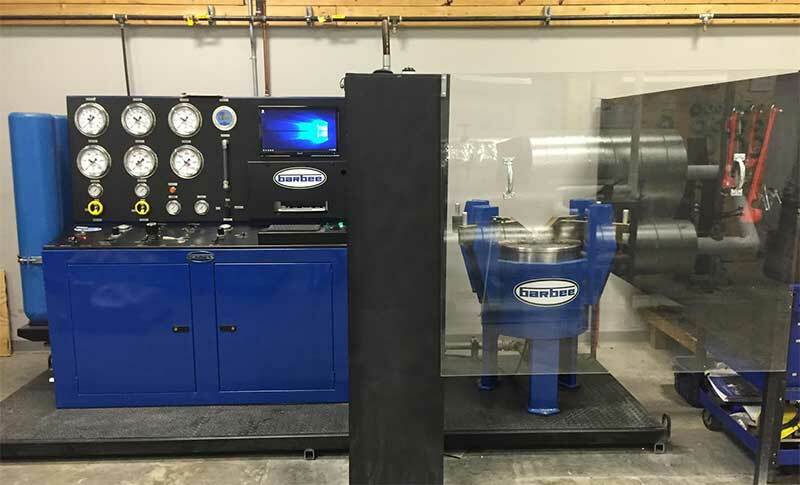 We also have their T/O mark indicating that we meet their requirements for in-service testing and recertification of pressure relief valves, provided they pass all testing required and no repairs are needed. What does this mean to you? 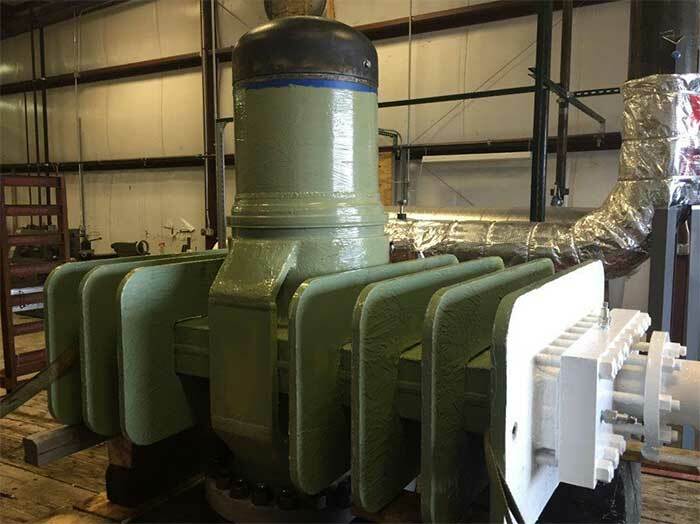 Extreme Force Valve is committed to providing the best valve repair services in our industry. Because we’re actively engaged in ensuring that our standards and practices are on the leading edge, you can rest assured that you have the best team on hand for your needs. 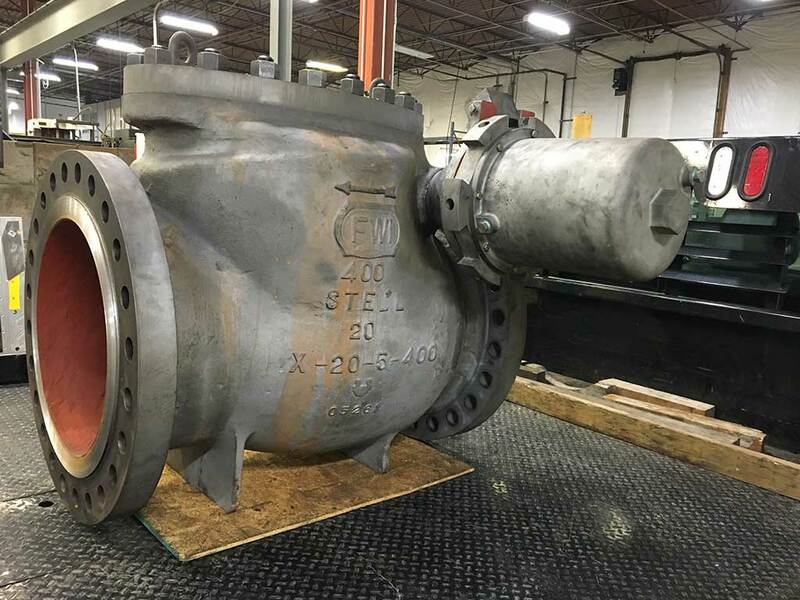 The team at Extreme Force Valve will do your job to the highest standards, on time, every time. Our long list of customers appreciate our quick turnaround, quality service, and fair pricing. Utilizing an extensive network of resources we provide any additional necessary services above and beyond our in-house capabilities. We are your “one stop shop” for all of your industrial valve needs. Let us save you money. 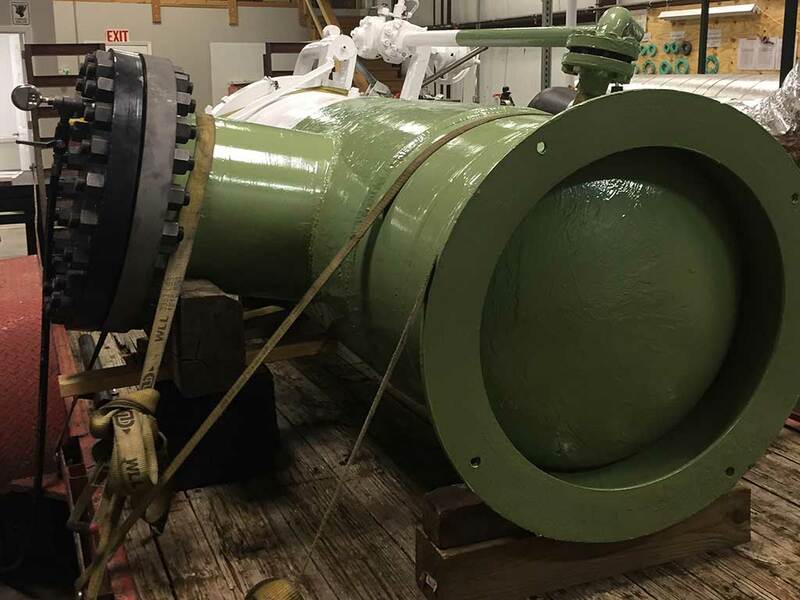 Before you purchase replacement valves or load train parts, give us a call. Our Special Process Certificate allows us to perform machining on PRV parts. This allows us to rework slightly damaged parts when possible to stay within OEM specifications. Have Special Process Certificate to perform machining on PRV parts. This allows up to rework parts when possible to stay within OEM specifications. This saves our customers money by not having to purchase replacement load train parts when they are slightly damaged. 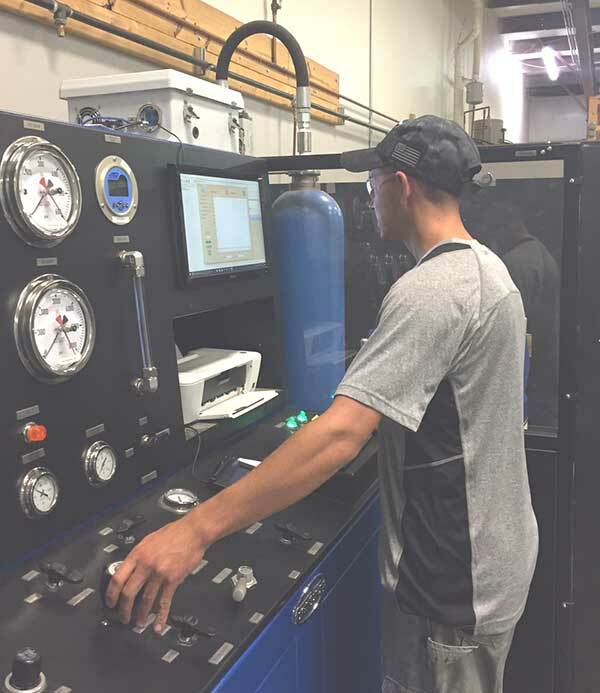 All valves undergo thorough testing and analysis with our state of the art testing equipment. You can rest assured that your completed product will hold up to your needs. Here is a vessel used in the pipeline industry that was hydro tested here at Extreme. Based on the size of the unit, we had to leave it on the car trailer to do the testing. Held about 390 gallon of water and was about 9 feet long. Did a 1250 psig test for 15 minutes on this unit. 20” Check Valve Hydro tested at 1300 psig for 30 minutes. 20” Valve Hydro tested at 1300 psig for 4 hours. Extreme Force Valve repaired this Spence Fig. 41-FPM for a St. Louis area hospital. 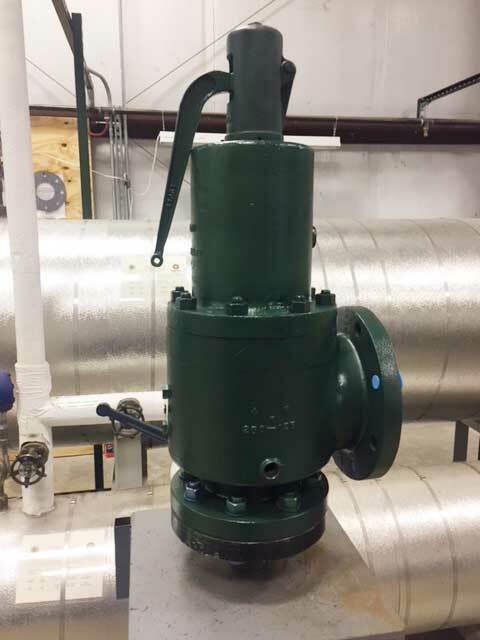 The valve is a 4″ x 6″ Section VIII Steam Valve set at 30 psig. The valve required a complete VR repair. The disc and nozzle seating surfaces were both eroded from seat leakage. Fortunately, there was enough material left on both the disc and nozzle to rework them within OEM specifications. 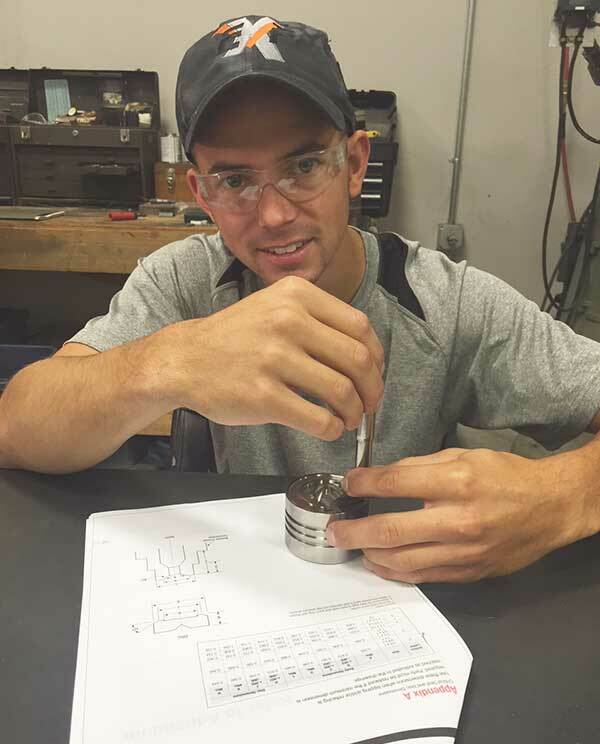 Being able to machine the parts instead of replacing them saved our customer some serious money. The valve was reset and operates like a new one. The cost of repairing this valve was about 20% of the cost of purchasing a new one!